Sometimes you just need a list that makes it easy for you – gives you all the things to do, see, eat, experience in one concise little reference list to take with you on your travels. Ditch the heavy guidebook and use this printable (link below) Paris Bucket List to make the most of your time in Paris! …Because you can’t not. Despite the lines it does have a fantastic view over the city and is an iconic experience. However there’s an even better view from the towers of the Notre Dame Cathedral in my opinion! Here you can see the famous gargoyles up close and they give a great perspective in photographs. Lines are similarly long so be sure to arrive early. If you’re making the obligatory stroll towards the Louvre you simply most stop by Jardin des Tuileries – if even just for some shade underneath a tree or a cheeky ice cream from one of the pop up stalls! Cabaret in Paris is an absolute necessity, especially if you haven’t seen a cabaret performance before in your lifetime as it just doesn’t get better than in Paris. While most visitors to the city flock to the Moulin Rouge, I much preferred the show on offer at Crazy Horse as it was a little (a lot) more of an underground vibe and played on the artistic elements more so. Both shows are great so if you have the time and budget, be sure to see both! You really can’t go past the institution of macarons itself – Ladurée – for a colourful box of sugary treats. Be sure to try a few flavours and certainly don’t miss the salted caramel! For one of the best views of the city that is also completely free, head on over to Montmartre and climb the stairs to the top of Sacre Coeur. This is also a great spot to position yourself for a picnic lunch and people watching. This is a sort of tongue-in-cheek suggestion as you really won’t get anywhere near to a noteworthy piece of art by having your portrait drawn in Montmartre, but it is a fun little exercise nonetheless. If you’re wandering from point to point, be sure to pass by the Luxembourg Gardens and take some time to sit on the public seats, relax and take it all in. If you’re after a fancy affair, this is it. Expect fine finger sandwiches, sweet treats that will leave you drooling for more and an impressive tea list. The Seine is perhaps the single most calming part of Paris and what better way to enjoy it than with a glass of French bubbles! This is the best ice cream in town, hands down. Find them near the Notre Dame Cathedral or chuck the name into google maps. Fancy a light refreshment to break up your stroll in Paris? Look nowhere else than the uber cool and tres magnifique, Hotel Costes. Ditch the I heart Paris t-shirts and head straight for Colette, a design concept store that will provide you with plenty of gifts to take home. If you happen to be in Paris in the winter and are looking for an iconic ice skating location, this is it. Looking for a view over the rooftops of Paris? Look no further. Fancy a night at the ballet or opera? You can’t go wrong at Palais Garnier but be sure to book in advance, the shows often sell out. …Only because its obligatory, not because it is a) that impressive (compared to other art in the Louvre and Musee d’Orsay) or b) will you get close enough to actually come to that conclusion. It is still a fun expedition regardless! Snails. Why? Its a local delicacy in France. Not because I can find any other reasons as to why you would eat a snail. As a vegetarian I will never tick this one off and if you’re with me, head straight to #45. Arguably the best view in Paris is to be found here. Not for shopping and certainly not for any reason other than to say you’ve been there, done that. Once inside, look up. You can thank me later. Its the land of happiness so what could go wrong, right!? There is nothing more quintessential than a Parisian picnic underneath the Eiffel Tower. Be sure to fetch your ingredients from near and far, including cheese, baguettes, macarons, salted caramels, and a bottle o’ the finest French bubbles money can buy (a 10 euro note will do just fine). There is no other single shopping department in Paris more impressive than Galeries Lafayette, particularly at Christmas time. Head underground in Paris to enter the catacombs and see a different side to Paris many do not know even exists. While you can go it alone, I’d suggest a tour as it can be quite creepy! One thing is for certain about Paris: expense. If you can’t afford shopping in Galeries Lafayette and fancy boutiques (or would just rather save that money for more adventures), then you will certainly find a bargain at the local flea markets. Here’s a helpful post on the best flea markets in Paris. And don’t skimp out on the nutella. 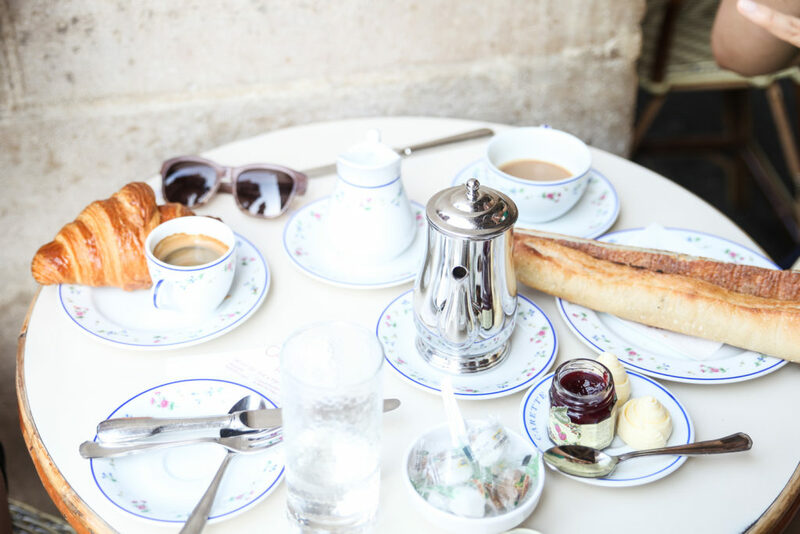 According to the WOW Paris contributor, this is where you’ll enjoy one of the best breakfasts in town. If you make just one day trip outside of Paris, make it the obligatory (but for good reason) trip to Versailles Palace and Gardens. If you visit during the colder months when the gardens are closed, keep this one on the list for your next trip – they are a must see! 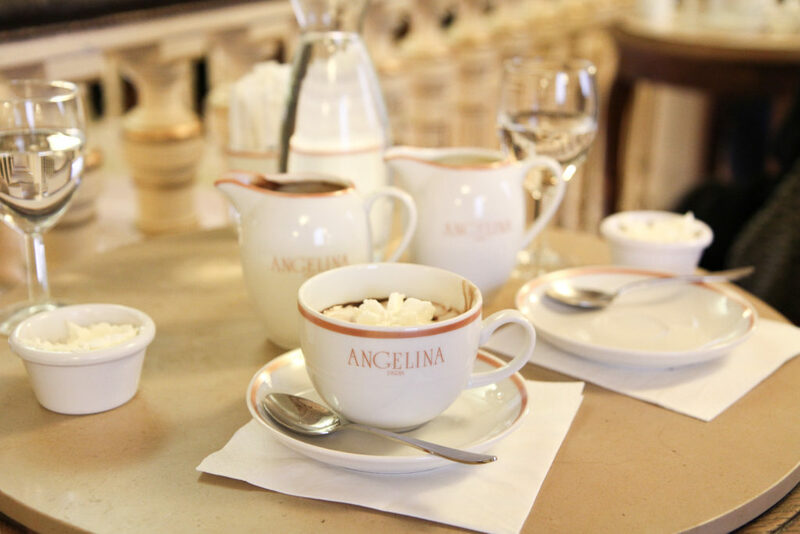 Be sure to plan plenty of walking on this day as you’re gonna roll out of Angelina feeling especially indulgent after a hot chocolate chaud at Angelina. It encompasses a thick consistency with whipped cream to stir in for added sweetness – indulgent but entirely worth the calorie spike! Okay okay I shouldn’t recommend it but I will because it is a fun way to remind yourself of Paris daily. Pablo Picasso loved Paris and Paris loved Picasso in turn. Go and pay his work a visit – you won’t regret it. Claude Monet was an impressionist artist, one of the most famous of his time, and perhaps my all time favourite artist. If you see just one work of art in your time in Paris, make it a Monet. Even if you don’t like jazz, you will by the time the night is out in one of Paris’ jazz clubs. See here for a kick start. Located in the 14th arrondisement, this is argued to be the location where you will find the best baguettes in Paris. See for yourself. Paris has a pretty nifty bike system which allows you to rent a bike by the hour or for the day. Make the most of it and bike ride right along the Seine, arguably the most peaceful part of town. Do now, ask questions later (you won’t). See what I’m talking about here. According to some guidebooks this is the only cafe in Paris (spoiler alert: its not). But it is indeed a great spot to people watch and gleefully sip your café au lait. Paris is a city that was made to be enjoyed outdoors in the sunshine and as such, even movies can be enjoyed in outdoor cinemas throughout the summer. Bring your own picnic dinner et voila! An evening to remember. If you’re looking for a fine French affair like no other, book yourself a table at Chez Janou. Just be sure to leave your food intolerances at the door as in Paris there’s no such thing as “no butter” or changing the menu at all for that matter. If you’re looking for a fancy box of chocolate to take home, this is your one stop shop. While it might not be French, it is certainly delicious. L’as Du Fallafel offer cheap and deeeeelicious falafel for a quick and easy meal. Translates to: the covered passages. This is a gorgeous shopping spot in the second arrondisement that is as pretty as a postcard itself. Because when in France do as the French do. The ‘other’ cafe talked about in the guidebooks is Les Deux Magots, the perfect spot to watch the world (or Paris at least) pass you by. Paris has such a high concentration of Michelin Starred restaurants that it is simply unfathomable not to eat at one of them. While it will cost you upwards of a day’s pay check, it will be a meal to remember for your lifetime. Another great people watching spot except outdoors this time is Canal St. Martin – best enjoyed with a bottle of French wine, cheese, and of course, macarons. Photos: Brooke Saward, Faye Bullock, Audrey Hepburn. I went to Paris a few years ago and dying to go back! I covered pretty much most of the list but I will be going back with a personal local guide i.e. French BF. Can’t wait! Hubby and I stayed for a month. Get off the beaten path, go eat where the locals eat! We also found it handy to take a thermos for a cuppa anywhere and don’t forget to go to the market and get fresh bread straight out of the oven for 1 euro. Fresh roasted ground coffee, a bunch of fresh flowers and a bottle of cheap very good wine to take home after a busy day site seeing. I miss Paris. Can’t wait to try some of these out when I’m there in June with friends. Arc de Triumph and dinner under the Eiffel Tower are two “must do’s” for me! Let’s see how much of these I can cross off this February, when I’m there. Great list! If I may, I would eat lunch at Chez George. It is where Julia Child ate lunch when she was living in Paris. It is a classic French cuisine. Might be tough if your a vegetarian but the Rum BaBa is the best. Also, I read advice that everybody should get a caricature done of one self, because it will show you your unique qualities. There are some great options in your list but Laduree is now part of a multi-national conglomerate and far from the best macaron maker. 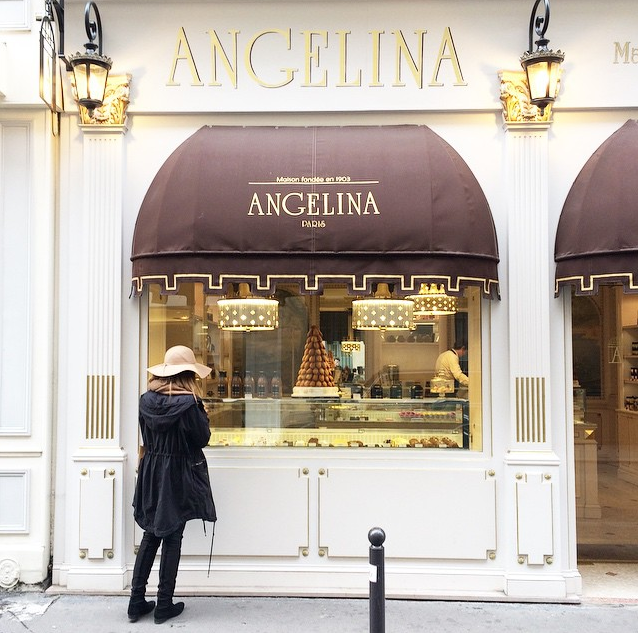 Try some small independent macaron specialists in the Latin Quarter instead. Whatever else one does in Paris just do lots of walking and people watching. What a perfect list! Guess that could keep anyone busy when in Paris! Great list. Is this possible to complete the whole list in one week trip. Awesome list, how long are you staying in Paris? I’ve always wanted to “savor the moment” while struggling to do as much as possible during the duration of the trip. I kept telling myself on my next trip, I will just read a favorite book at the cafe for the afternoon. Truly missing Paris now! Oh what I would do to be there in a heartbeat! Love this bucket list! And I love Paris! So I have enough to do the next time I will travel to this wonderful city! Thank you! Oh, wow. 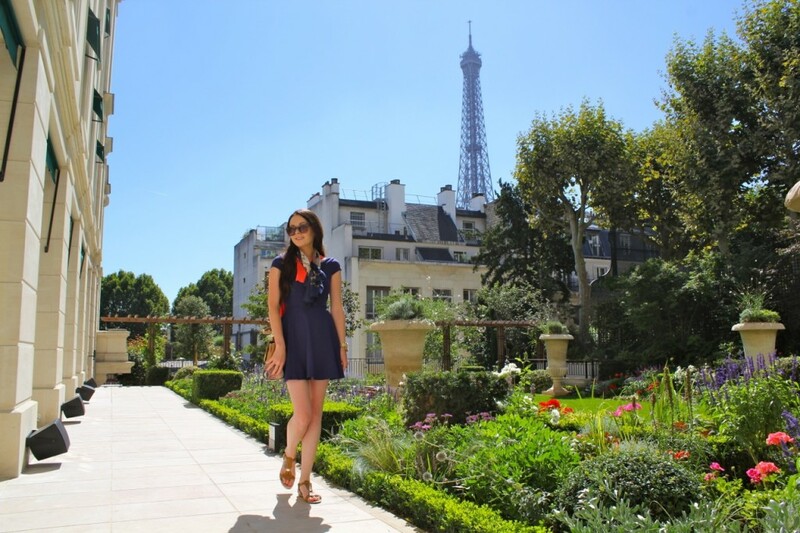 I never thought there’s this much things to do in Paris! I’m definitely will keep all these in mind when I step foot on the place – hopefully soon.